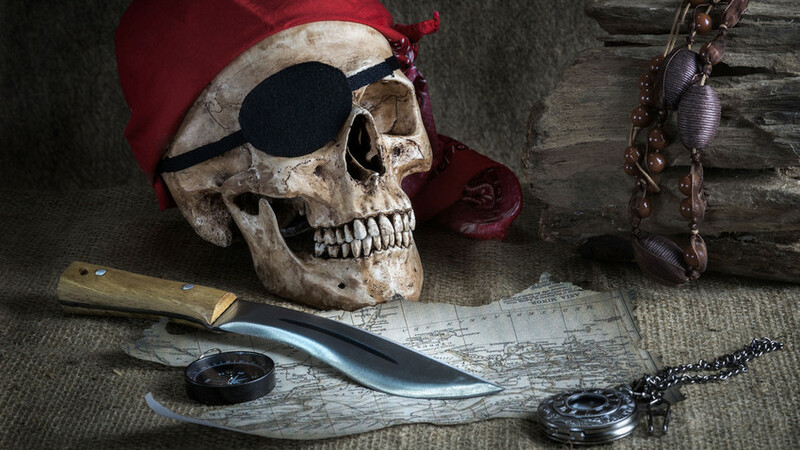 When the Russian navy was still being founded, rulers in Moscow and St. Petersburg—along with those in many other countries—were not above employing the services of pirates. These pirates were foreigners and often turned out to be extremely effective fighters. The Russian navy on the Baltic Sea was formed in the early 18th century by the tsar and reformer Peter the Great. However, there had been another attempt to create a navy more than 100 years earlier under Ivan IV, better known as Ivan the Terrible. Ivan IV was a complicated figure: both a brutal ruler and a visionary who understood the importance for Russia of having ports on the Baltic. To achieve this, he launched a war in the region that would drag on for more than two decades. At first, it all went fairly well for the tsar and, having made some territorial gains, he realized that in order to fully control the shoreline he also needed a fleet. The problem was that in the mid-16th century, Russia had neither vessels nor crews. This is why Ivan IV sought foreign assistance, turning to the Danish king, Frederick II, who supported Ivan the Terrible’s war against two of Russia’s historical enemies: the Polish-Lithuanian state and Sweden. The king reached out to Karsten Rode, a Danish privateer. “So, in the summer of 1570 in those waters an unknown fleet that was headed by Rode appeared and quickly became the ‘Baltic Sea’s terror,’” historian Valery Yarkho wrote (in Russian). 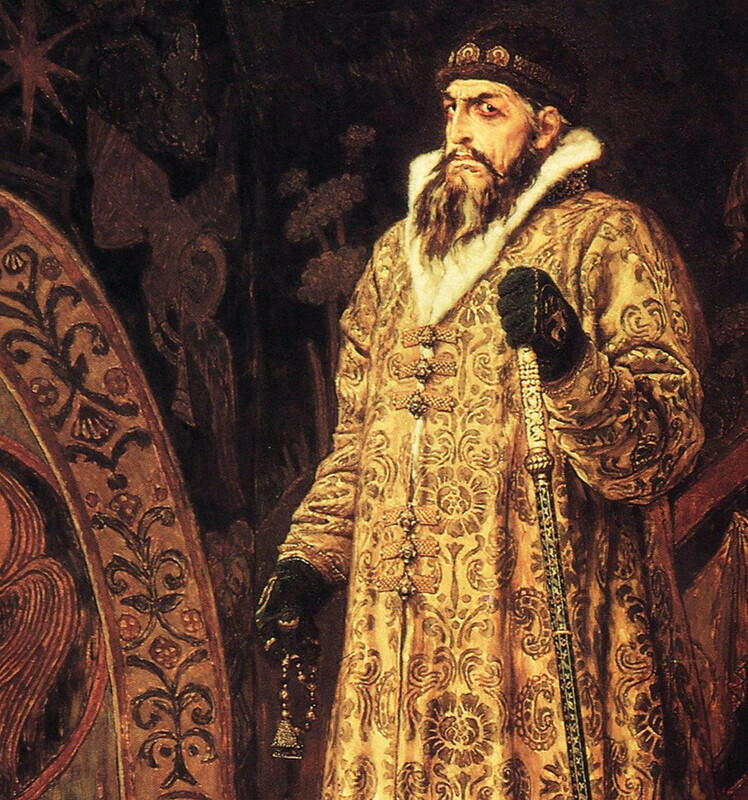 Rode received a letter of marque from Ivan IV on which it was ordered that, “Rode and his comrades had to hunt down with fire and sword in ports and open sea not only Poles and Lithuanians, but also anybody who will supply them with goods and take anything from them.” Thus, the Russian tsar’s stance was that Rode could attack anybody who had contact with his enemies. Rode performed this function quite well. At first, he had only one small ship, but very soon three and, shortly thereafter, six vessels were under his command. He primarily attacked trade ships coming from the Polish port of Gdansk. In July that year, he captured 17 such vessels in one fell swoop. Baltic tradesmen began to get worried and sent a military expedition after the privateer. The mission was a flop. The Swedes were also displeased with Rode and tried to hunt him down, but they didn’t succeed either. The end to Rode’s successful raids came in an unexpected way. Ivan IV was losing the war, and when Rode’s presence became problematic for the Danish king, he arrested Rode. This happened despite the fact that Rode sold loot and booty to the Danes and not, as he was supposed to be doing, to Russian tradesmen. According to Yarkho, “As Rode did not hurry to fulfill the conditions of the contract with the Russian tsar, so the latter was not so eager either to liberate him from the Danish captivity.” Ivan sent a letter to Frederick, asking to extradite Rode to Moscow, but the Danish king refused to do so. We do not know what became of Rode in the end. John Paul Jones, another privateer who worked for Russia, is fairly well known for helping found the U.S. navy during the American War of Independence. In 1788, he was hired by Russian empress Catherine II. At the time, Russia was involved in wars with Turkey on the Black Sea but lacked a strong fleet or experienced officers. Jones was promoted to the rank of rear admiral and put in command of over 14 Russian vessels. In the summer of that year, “The American became one of the main actors in Russia’s successful battle around [Turkish fortress] Ochakov. Vessels from his fleet took part in a surprise attack of a Turkish flotilla and forced a ship with 64 cannons onboard to become stranded. 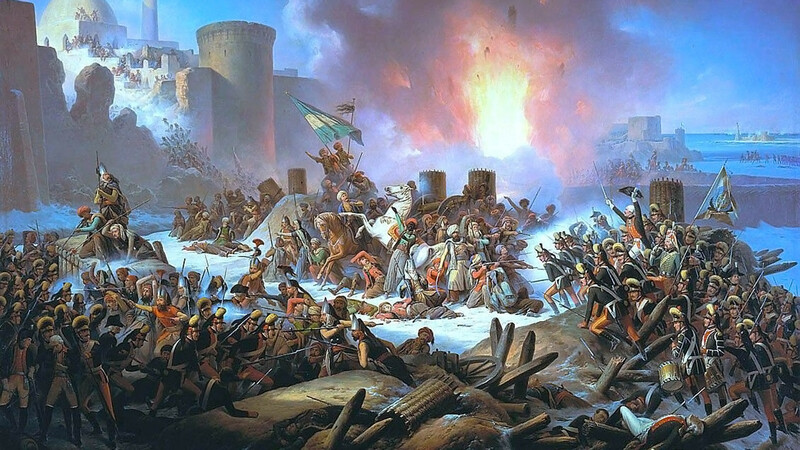 Later, in an exchange of letters with Prince Potemkin [Catherine’s favorite, who was in charge of Russian campaigns in the south], he insisted that it was his idea to put a secret artillery battery…that harmed the Turks the most,” historian Igor Ivanenko wrote (in Russian). In the fall, as a result of various scandals, he had to leave for St. Petersburg, but his fleet still managed to destroy a group of Turkish vessels. A bit later, as a result of several successful and strategically important naval campaigns, the Russian forces captured Ochakov. Meanwhile, Jones went to Paris for two-year-long paid vacation but, while there, suddenly died. 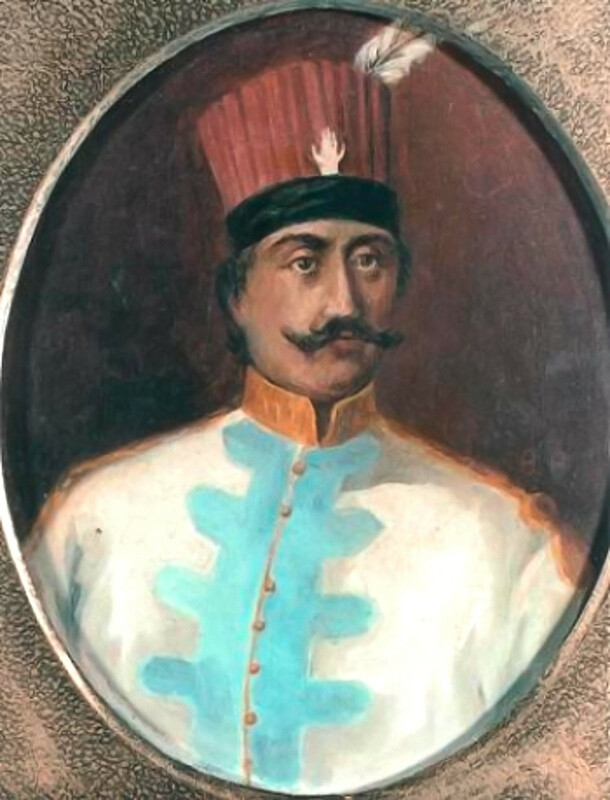 Lambros Katsonis, like John Jones, was also revolutionary hero only in the context of the Greek national struggle against the Turks. For some time, and partially under Jones’ command, Katsonis was a member of the Russian ranks and took part in the Russo-Turkish wars. In 1788, Katsonis was sent to Trieste, then an Austrian port in the Mediterranean. In Trieste, he bought a vessel and named it “Minerva of the North” in honor of Catherine II. After a number of successful campaigns, he soon expanded his fleet to ten ships that were seized from the Turks. In his possession, these ships posed a real threat for the Ottoman Empire in the Mediterranean. At that time, Russia was unable to send any of its own ships because it had simultaneously become involved in another war, this time with Sweden. As a result, Katsonis’ fleet was the only Russian naval presence in the region. “It’s known across whole Turkey that the Archipelago is filled with Russian ships, but in reality there are no corsairs in the Archipelago other than me and ten of my vessels,” wrote Katsonis in a report to Prince Potemkin, which was quoted by historian Alexander Shirokorad in his book Russian Pirates. His fleet was so strong that the privateers even managed to capture a Turkish fortress on one of the islands. In 1790, the united Turkish-Algerian fleet soundly defeated Katsonis, but he still continued to fight. When Russia signed a peace treaty with the Turks two years later, Katsonis was enraged that Greece was not mentioned in the document. He led the struggle on his own for some time but eventually returned to Russia.